The Gryphon women made the podium 6 times at last week’s OUA championships, including golds from Carly Zanatta in the lightweight women’s single and Emma de Wit & Claire Benwood in the lightweight women’s pair. Carly also picked up a silver in the lightweight women’s double with partner, Kaitlyn Dennis. 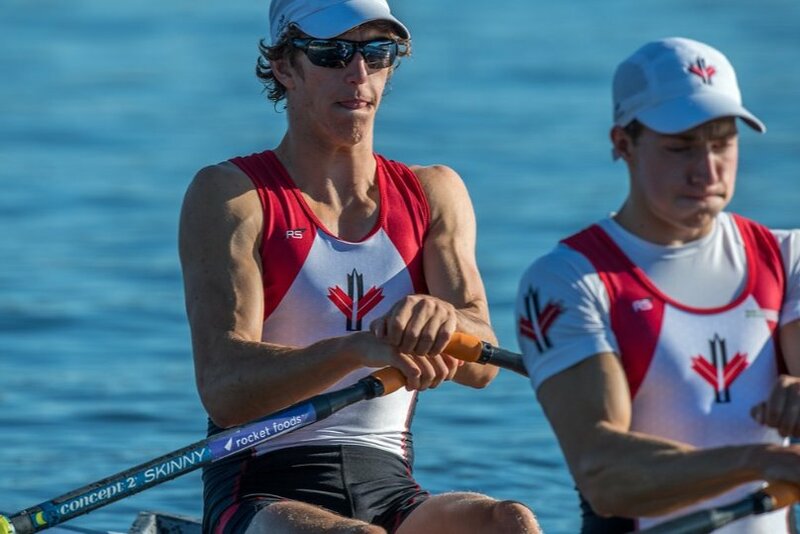 According to Dave Leger, “The compression of the regatta (due to weather) to a one-day event provided some adversity for all of the teams, but all of our athletes really stepped up and handled it incredibly well.” Read more on the Gryphons web site. Kristina Harris competed in Row Ontario’s Trillium Chase series. She won the U17 category with 68 points and also placed an impressive 6th in the overall women’s standings. At the Head of the Charles, Stephen Harris (Kristina’s brother) medalled with an impressive 3rd place finish in a field of 36 boats, just seconds behind first and second. An article on Row2k has a great photo and comments by Stephen on the experience. Stephen also competed in the Trillium Chase series, winning the U19 Men’s category and finishing a strong second in the overall men’s competition. The Trillium Chase included the inaugural Muskoka Poker Run regatta out of Port Carling. An unbelievable 22 km race, Stephen came 1st in the U19 category and 2nd overall, only 4 seconds out of first in a race that lasted 1 hour and 40 minutes!